Marine Centre International (www.marinecentreint.com), the leading yacht dealer for luxury brands such as Cranchi, AB Yachts and Tiara in Egypt, has announced the boost of its technical team based in El Gouna, Egypt. This move will enhance its full service offering to its clients, by strengthening its after-sales department with further technical capabilities and resources. 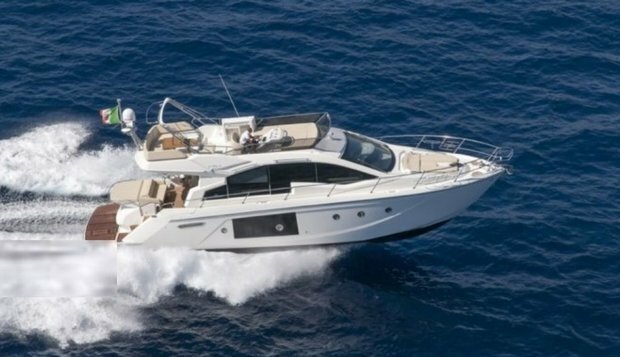 The boost comes after Marine Centre International, recorded significant growth over the past year with the sales of the latest Cranchi models, and in response to the increasing demand for after sales services that may include technical support, customization and regular maintenance. “A good sales pitch in not enough in the yachting industry. Dealers need to have the technical infrastructure and know-how to support and advice their clients. The level of investment in this know-how is what differentiates the service you receive from a yacht dealer and what differentiates us from other yacht companies in the region. As the market in Egypt matures, we need to ensure that our technical offering and day to day service continues to be optimized to provide our clients with 24/7 support”, says Harry Kourmousis, Managing Director of Marine Centre International. Marine Centre International provides the absolute marine and yachting services in Middle East and around the world. Representing some of the worlds’s leading luxury yacht brands, including Cranchi, Tiara, Capelli, MAIORA, AB Yachts and CBi Navi, and with a team that has a combined experience of more than 100 years in the yachting industry, Marine Centre International ensures you experience the yachting way of life! From choosing the yacht that meets your style, design and recreational specifications, to providing ongoing management and technical support we offer a service that is tailored to your yachting needs.